Transform your interior into a dreamful place and get a new fresh feeling in your home with this flamboyant tropical wallpaper. 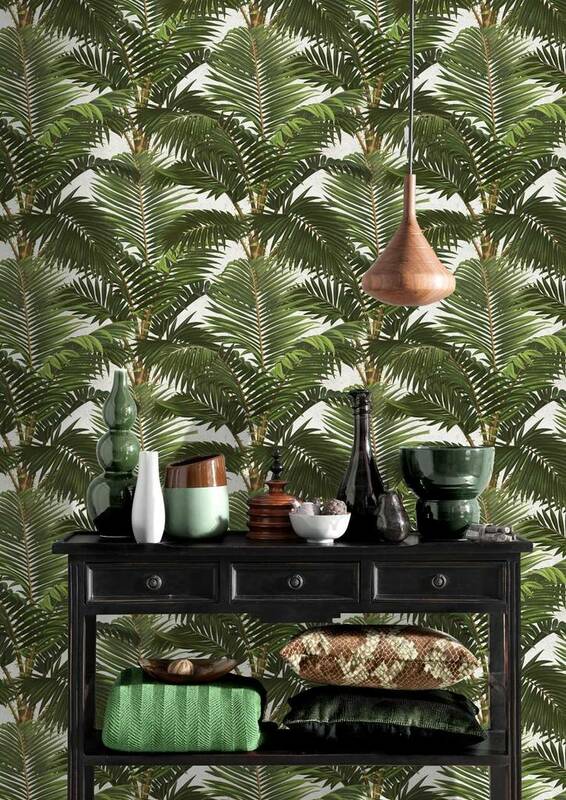 Dare to be different with this flamboyant Jardin Tropical Wallpaper. 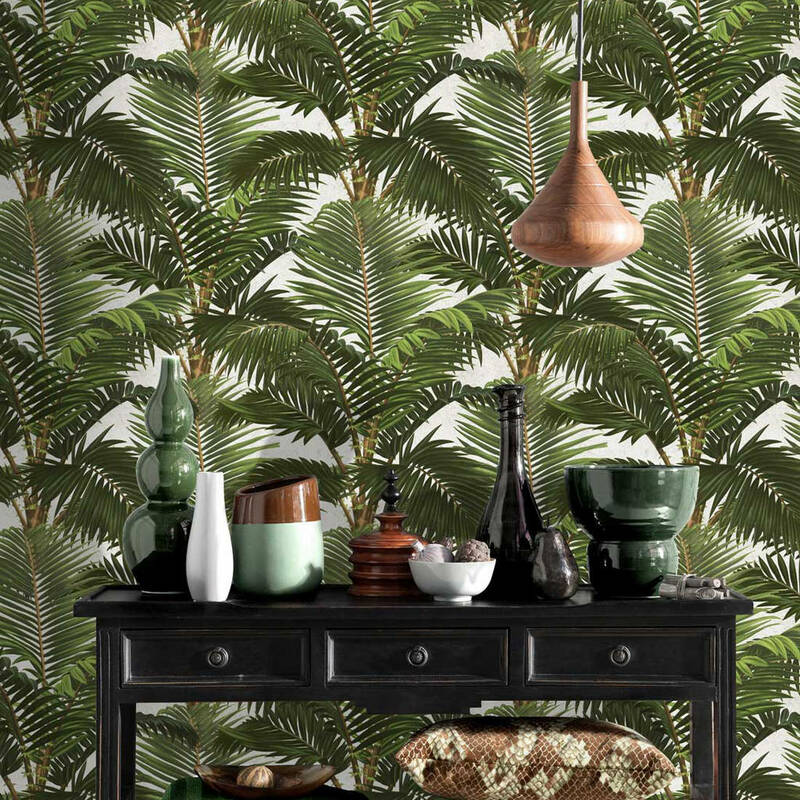 An eye-catching pattern that will turn any room into an exotic island. Perfectly suited for any interior, especially for those who love the vintage reinvented or the well-known eclectic style. 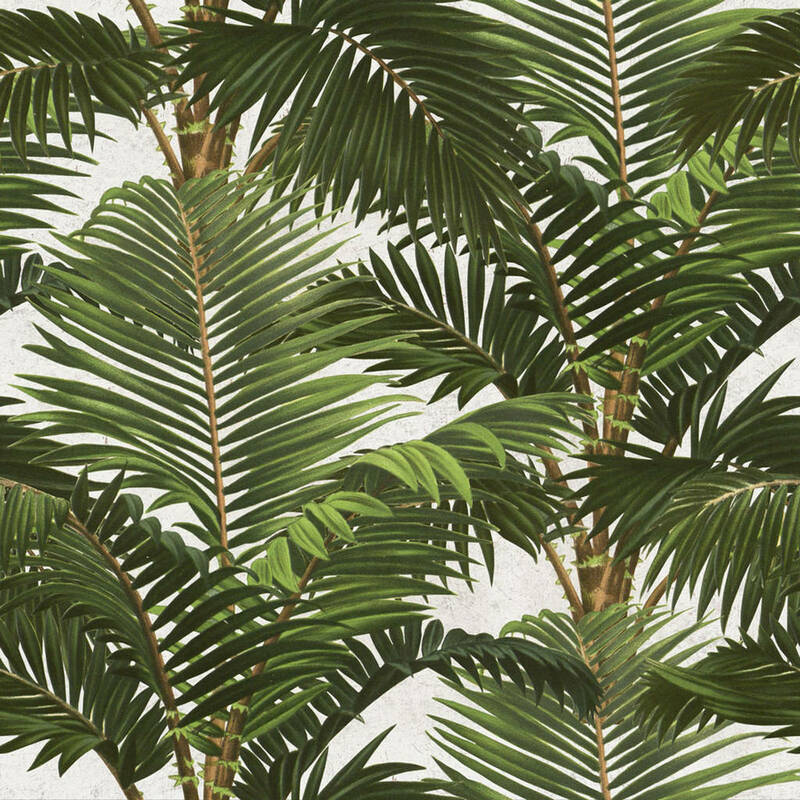 Part of the Tropical Vibes collection this fabulous range features palm fronds, exotic fruits and tropical foliage, giving you an instant holiday vibe. This wallpaper is printed to order so non-returnable. Please purchase a sample prior to ordering to check colour and finish. Non-woven paste the wall wallpaper. Sold as a set of 3 rolls – each 52cm wide by 300cm long which covers approx 4.65m2. This product is dispatched to you by Lime Lace.